Founded in 2014, Favela Brass currently provides 36 young people, aged 4-16, with free music lessons 3 times a week, plus a free instrument to practice on. 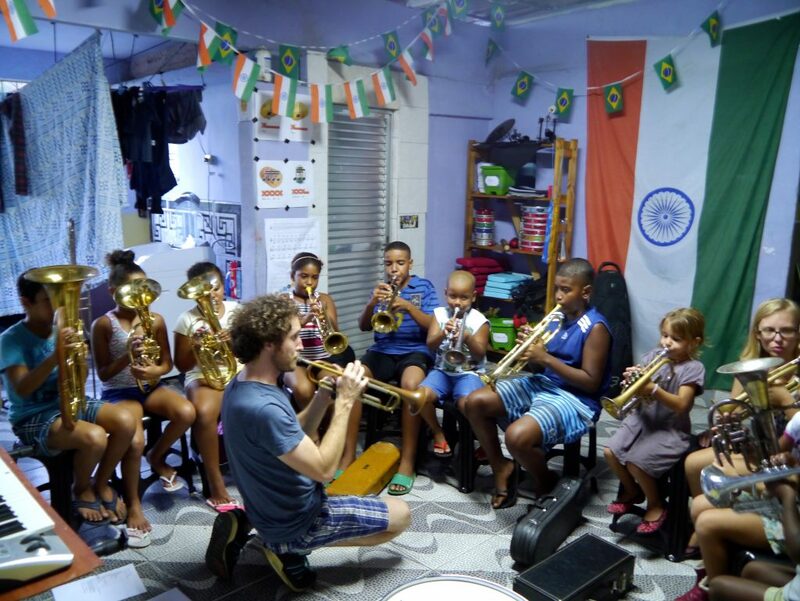 RIO DE JANEIRO, BRAZIL – Since 2014, English expatriate Tom Ashe has been running Favela Brass, an NGO that provides free music lessons to some of Rio’s disadvantaged children. With a new permanent home, an expanded program of music lessons, and their first performance outside of the state of Rio de Janeiro, 2019 is looking to be their busiest year yet. 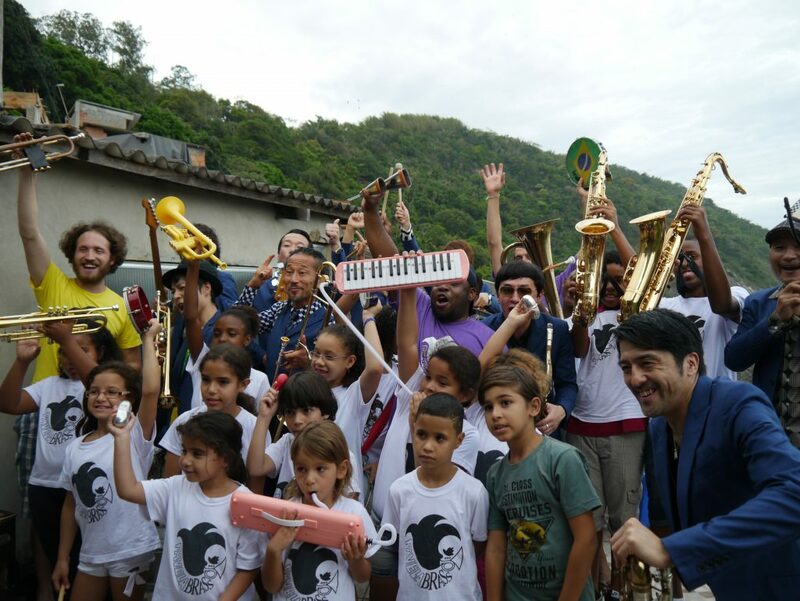 Tom Ashe and Favela Brass will soon be setting up a crowdfunding campaign to help with their NGO’s expansion into providing free music lessons at local municipal schools, photo courtesy of Favela Brass/Tom Ashe. 2019 has got off to a positive start with Ashe finally securing a permanent base for the charity inside the favela community of Pereira da Silva. “The main thing for us is that I bought a house in the favela, so we’ve now got a permanent home for the project.” He explains. Other good news from the project is the continuing success of many of their students. “One of our trombone students, Henri, who is twelve years old, just won a scholarship to study at the Villa Lobos school.” Ashe adds. Plus, this year Favela Brass are set to play their first concert outside of the state of Rio de Janeiro, having been invited to participate in the jazz festival ‘Tudo é Jazz,’ which is taking place in Ouro Preto, Minais Gerais, in May. The long-term aim of the program is to create a tradition of brass and percussion in the favela community of Pereira da Silva, combining Rio’s rich musical heritage with the jazz and second-line tradition of New Orleans, photo courtesy of Favela Brass/Tom Ashe. This expansion is going to be a big step up from Favela Brass’s usual activities, so Ashe is looking for any help or contributions that people can offer. “We’re going to launch a crowdfunding campaign in a couple of weeks’ time.” He mentions. Those interested in contributing should keep an eye on the NGO’s website and Facebook page. When not running Favela Brass, English expatriate Tom Ashe is busy playing with his brass band every Thursday evening at Cazota in Lapa, and he is also organizing a ‘bloco’ (street party) for this year’s upcoming Carnival.